Speculation tests my powers of perception, and (hopefully) heightens those powers. For me, speculation is a process akin to peering into the distance and trying to discern whether a cloud of dust on the horizon is being caused by a bunch of kids playing football, an oxcart or a tank. It’s a process of “connecting dots” when most people don’t even see the dots. Speculation is the process of trying to reach correct conclusions based on the least amount of evidence. Speculation is risky since it’s a kind of intellectual or perceptual gambling. That gambling excites me—especially when I publicly expose my speculations. By publicly declaring my speculations, I stick my neck out and risk being ridiculed whenever my speculations turn out to be false. 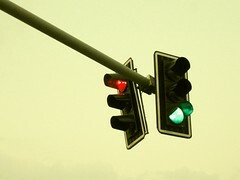 I enjoy the risk because that risk forces me to be much more astute in my speculations. I don’t like being ridiculed any more than the next guy, so, I generally warn people “not to believe something because you hear it from me”. I routinely sprinkle my texts and statements with words like “appears,” “what if,” or “hypothesis” to warn readers and listeners that the ideas I’m expressing are unproven, speculative and, while plausible, possibly mistaken. I’ve been speculating in print or on radio for over 20 years. If I say so myself, while some of my speculation has been mistaken, most of my speculation has turned out to be roughly correct. This blog (adask.wordpress.com) is primarily dedicated to speculation. On March 31st, I posted “Japan Is Dying” on this blog. That article was largely a response the the Fukushima nuclear reactor meltdowns, but also dealt with fundamental demographic problems: 1) Japan’s economy has been moribund during its “Lost Decade”; and 2) 75% of Japan’s women are unmarried and therefore unlikely to reproduce. 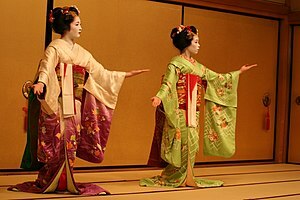 Japan is aging, it’s population is falling, it’s economy is depressed, and the Fukushima radiation may ultimately cause Japan to lose Tokyo and much of northern Japan to a “dead zone”. Unless at least two or three of those problems are resolved, I doubt that Japan will recover in my lifetime. I wouldn’t be surprised to China invade Japan within the next ten years. Over the past 20 or 30 years, Libya’s Colonel Qaddafi has been portrayed as a cross-dressing, drug-using, lunatic, terrorist and despot. 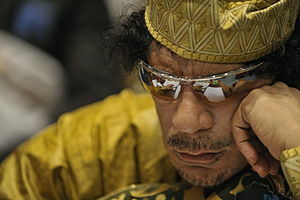 The mainstream media’s portrait of Qaddafi has been so persistently negative for so long, I accepted it as more or less true that Qaddafi was pretty much a “bad guy”. But here’s a video that says the truth is very different from what we’ve been led to believe. We see Qaddafi riding in the open, vulnerable to assassination, and instead receiving widespread cheers and applause from his people. We see that Tripoli is a fairly modern and prosperous city. We read allegations in the video that, if true, indicate that Qaddafi was truly dedicated to the welfare of the Libyan people. If we believe the video, Qaddafi is a real hero. Mike Kelly is a Chevy/Cadillac dealer from Butler, Pennsylvania who was elected to the House of Representatives last term. Listen to Congressman Kelly take the entire Congress to the “woodshed”. Some people are becoming fans of this guy upon seeing this video . . . he’s good. One more video like this and he should be somebody’s candidate for Vice President in A.D. 2012. The natives are not only getting restless–some of ’em are even getting elected. The times are changing. Real change (not “Obama change”) is possible and increasingly likely. Something’s happening in America. There’s a movement that’s growing and inspiring others. This movement is not being reported by mainstream media, but is being fostered by the “grassroots”. That movement is constitutionalism in general and Ron Paul’s candidacy, in particular. The mainstream politicians and mainstream media would have us believe that Ron Paul can’t possibly win, but success of the constitutionalist movement and Ron Paul’s candidacy is far from impossible. I think Paul can beat Obama just as Reagan beat Carter. I doubt that an Obama vs Paul election would even be close. I think Paul can win in a walk. All it takes is for enough people to simply believe it’s possible. It’s not necessary that we believe in Ron Paul. He’s not a god. He’s just a man with a particular message. But it is necessary that we believe in We the People. It’s necessary that we believe in ourselves. It’s necessary that we believe that our predicament is not hopeless. 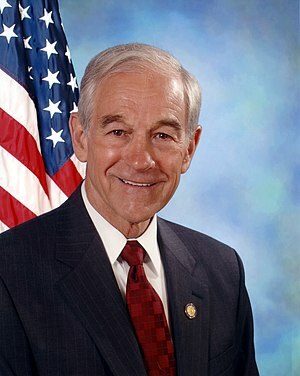 It’s necessary that we believe that if We the People want to elect Ron Paul–or anyone else–we can make it happen. L.A. Judges Guilty of R.I.C.O. Former U. S. Prosecutor Richard I. Fine, Ph.D. appears in a video interview. He outlines criminal activity of members of the California Judiciary that qualifies as “organized crime” and explains why their activities should qualify for prosecution under the RICO ACT ( Racketeer Influenced and Corrupt Organizations Act). Mr. Fine complains about L.A. Judges in particular, and California judges, in general. But the problem of judicial corruption is hardly confined to California. 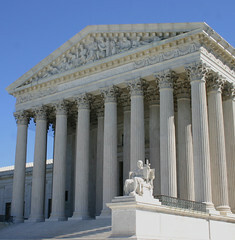 Mr. Fine’s allegations could apply to most judges in most states throughout the U.S.. Most of the allegedly “honorable” men and women sitting on the benches of this country’s “judicial” system are nothing but racketeers. They sit as administrators and employees of private entities rather than officers of the “judicial” branch of the de jure governments of “The States” of the Union.